What would it feel like to go to your favorite restaurant and order anything you like again? Wouldn’t it be great to smile freely in the family holiday photos this year? When you’re living with a missing tooth, it’s always on your mind and it takes a toll on your confidence and self esteem. 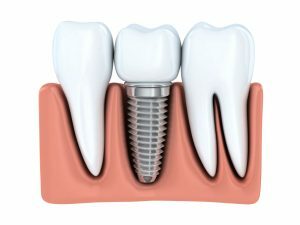 Dr. King Scott offers the best tooth replacement solution and that is dental implants. Here’s more information about the versatility of dental implants in West Monroe. The secret behind the success of dental implants lies in the fact that they replace both your root and your tooth. A biocompatible titanium post is surgically placed into your bone to restore your root, while a high quality porcelain crown replaces your missing tooth. Dr. Scott can handle all aspects of your implant treatment, including the surgery, in the comfort of our own office so you’ll be surrounded by the team you know and trust from start to finish. Without a root your bone has nothing to support and it will begin to deteriorate. Without a replacement tooth, your healthy teeth begin to shift into the open space causing your bite to misalign and increasing your risk for issues such as periodontal disease and fractures to your teeth. Because a dental implant replaces both your root and your tooth, it protects your oral health. With your new dental implant, you’ll be able to enjoy all your favorite foods again, and you’ll have no trouble brushing and flossing your teeth. Talking and smiling will no longer feel embarrassing, and because your implant is customized to complement your smile, no one will ever know you were missing a tooth. For patients living with multiple missing teeth, implants can also be used to support dental prosthetics such as a denture or dental bridge, which are designed to restore a few, or even an entire arch of missing teeth. Dental implants are strategically placed so that the prosthetics can snap into them, which provides a more secure and stable fit. Dr. Scott can help you determine which restorative option will best suit your needs and if implants will work for you with an examination and x-rays. Don’t let missing teeth hold you back from the life you deserve any longer! Contact our office today to learn more about how Dr. Scott can help you reclaim your smile and your oral health.